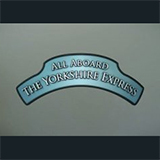 The Yorkshire Steam Railway: All Aboard is a TV show on British national television from Channel 5 with an average rating of 3.6 stars by TelevisionCatchUp.co.uk's visitors. We have 8 episodes of The Yorkshire Steam Railway: All Aboard in our archive. The first episode of The Yorkshire Steam Railway: All Aboard was broadcast in January, 2019. Did you miss an episode of The Yorkshire Steam Railway: All Aboard but don't you wan't that to happen in the future? Please set an alarm and add The Yorkshire Steam Railway: All Aboard to your favourites, so we can remind you by email when there's a new episode available to watch. For free! Completing the overhaul of Repton is now urgent. Chris examines some bridges that are in need of repair. The railway hires the Royal Scot for its 50th anniversary. Marketing Manager Laura targets teachers in the hope they'll return with their classes, Chris reveals how some of the bridges are in desperate need of repair, and Piglet has a race against time to fix an engine which Laura wants to be on display when the Tour de Yorkshire whizzes by. To celebrate its 50th anniversary, the railway has hired headlining steam engine Royal Scot, but she has a problem with her boiler, carriages that haven't been serviced in five years, and no-one even knows if she will fit the line.